The Investigations Division of the Ahoskie Police Department is under the supervision of Captain Michelle Garrett. 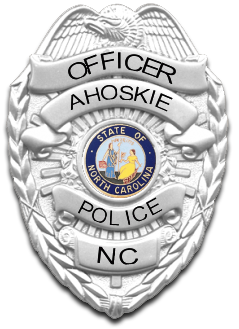 The division is responsible for investigating serious crimes committed within the Ahoskie community. The Investigation Division’s primary function is to identify and apprehend criminal offenders. Detectives assigned to the Investigation Division handle a variety of complex in-depth investigations including, but not limited to financial crimes, computer crimes, sexual assaults, burglaries, robberies and narcotics. The investigative process often involves a coordinated effort among local, state and/or federal law enforcement agencies. Detectives assigned to this division, do so by working cooperatively with other units within the police department, other municipal departments as well as the entire community. The Investigation Division consists of three Detectives, each specializing in specific areas of law enforcement. These officers are assigned to the division full time to handle all investigations that result from any serious or complex criminal cases. If you need to contact any of the detectives, please call the central dispatch at (252) 332-5011 and they will put you in touch with them.